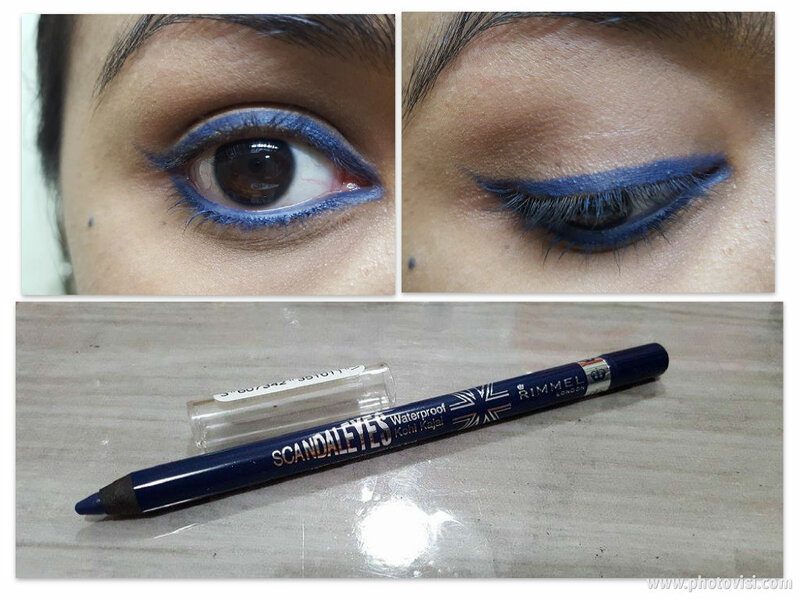 Since I have been hauling blue eye liners for months now in search of that perfect one, I got a chance to try and test the Rimmel Scandal Eyes Kohl in Deep Blue this time. This one is somewhere between navy and cobalt. I have the black version and it is one of the best makeup eye liners ever, however, this one despite having similar qualities kind of falls behind on the color part. It still is not my perfect blue. And I sharpened it to less than half after first use because the tips are just too soft.Conclusion: I bought this one for the color only. Since it's not what I wanted I won't repurchase this product. But if you also want to try out different blue eye liners then this one is an affordable option. Recommended? Yes. The shade looks gorgeous and suits you. Nice review. That's a gorgeous blue shade. Loving your swatches a lot.